Could snow slow down Manchester showdown? There are fears this weekend’s Manchester derby could be at risk after the Met Office issued a weather warning. The Met Office warned up to eight inches of snow may fall in the hours before Manchester City‘s trip to rivals Manchester United. 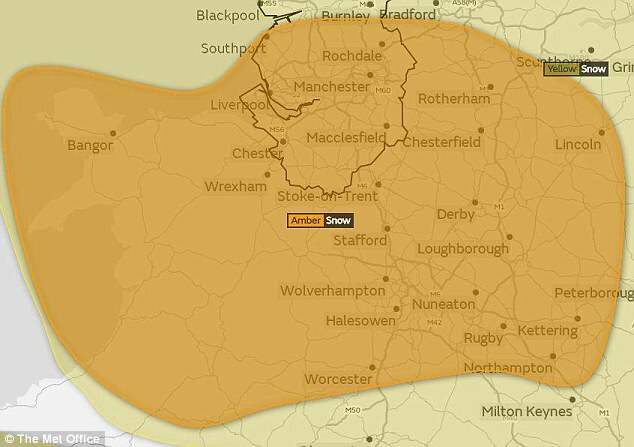 They have also upgraded their warning from ‘yellow’ to ‘amber’ as snow is set to fall between 4am and 6pm across Greater Manchester, which will be combined with sub-zero temperatures. 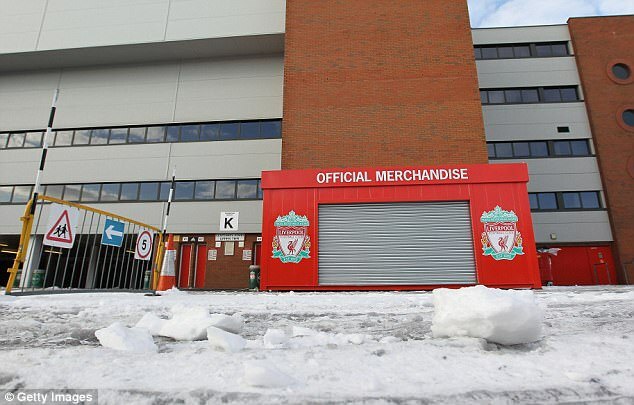 The weather will spread to Liverpool, which means there could also be a risk to the Merseyside derby between Liverpool and Everton. 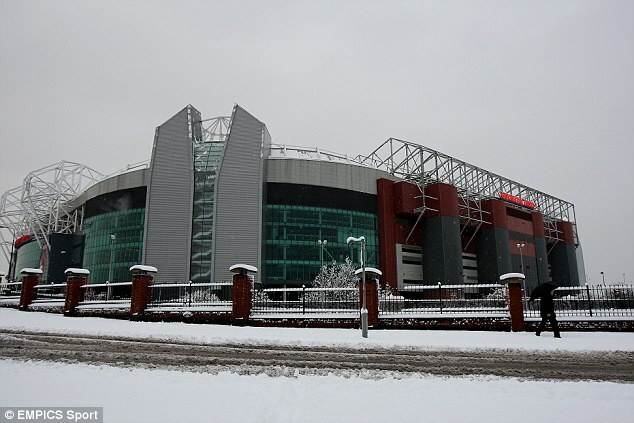 A late kick-off for the game between United and City — 4.30pm — means there will be time for the snow to settle. Add in temperatures of -1 degrees and there will be a real risk. The Old Trafford pitch does have undersoil heating, which means the on-field action is unlikely to be impacted by the weather. But if the stands or areas around the ground are considered to be unsafe due to ice it could be decided to call the game off. 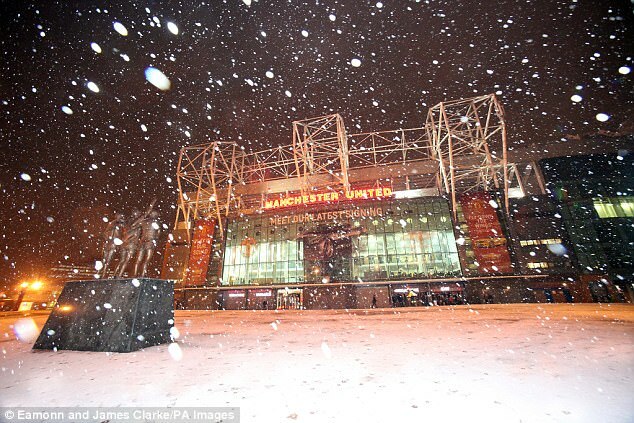 United will hold talks with local authorities should the weather become an issue and there is a precedent for postponing Premier League games. Their match away at Chelsea was called off in 2010 over health and safety concerns. So too was Arsenal’s clash with Bolton the same season. ‘Make sure you take close note of local emergency services,’ a Met Office spokesperson said. ‘If you do have to travel, make extra time for journeys. It could cause disruption to transport services.